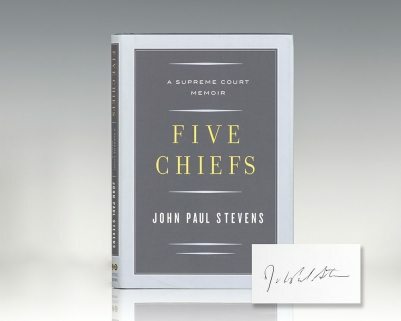 Five Chiefs: A Supreme Court Memoir. New York: Little Brown and Company, 2011. First edition of this memoir from Justice John Paul Stevens. Octavo, original boards, illustrated. Inscribed by the author on the front free endpaper, “For Art- With many thanks and fond memories- John Paul Stevens.” Fine in a fine dust jacket. Jacket design by Allison J. Warner. 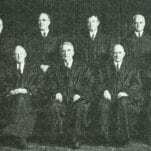 "An important addition to American history....At its core, the book is not just another memoir from yet another judge. 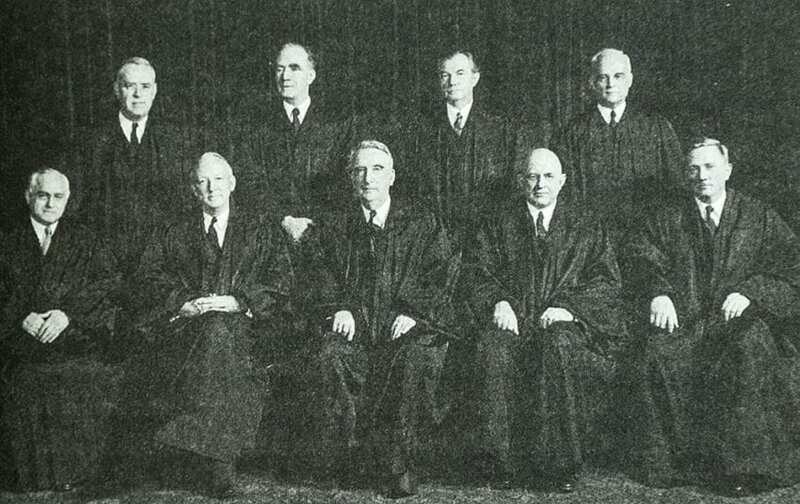 It marks instead the end of an era on the Supreme Court and in the broader swath of American law and politics" (Andrew Cohen, The Atlantic). 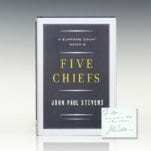 First edition of this memoir from Justice John Paul Stevens. Octavo, original boards. 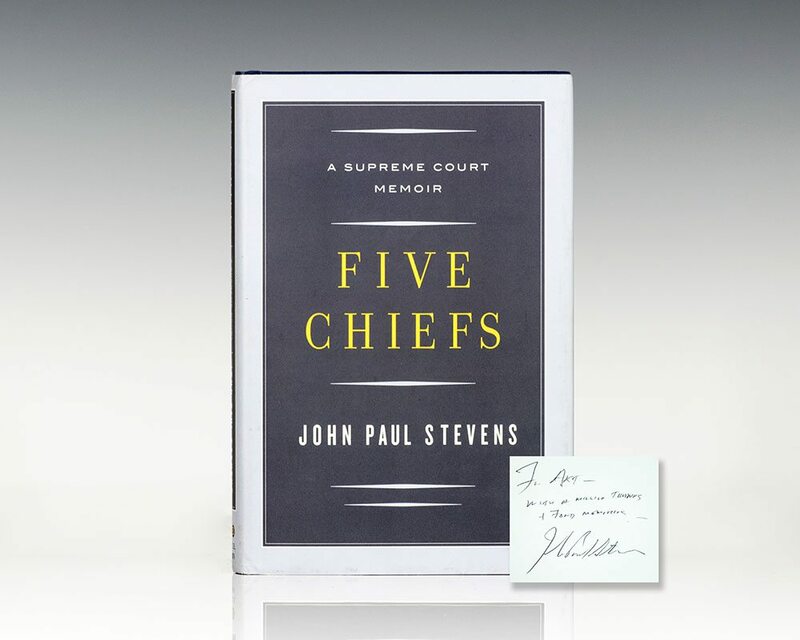 Inscribed by the author on the front free endpaper, “To my good friend Frank Lorson John Paul Stevens.” The recipient was the chief deputy clerk of the U.S. Supreme Court, who began his 30-year career at the Supreme Court as an assistant clerk in 1972. He was chief deputy clerk from 1981 until his retirement in 2002. Fine in a fine dust jacket. Jacket design by Allison J. Warner. First edition of this memoir from Justice John Paul Stevens. Octavo, original boards, illustrated. Signed by John Paul Stevens on the title page. Fine in a fine dust jacket. Jacket design by Allison J. Warner. Six Amendments: How and Why We Should Change the Constitution. New York: Little, Brown and Company, 2011. First edition. Octavo, original boards. Fine in a fine dust jacket. Signed by John Paul Stevens on the title page.